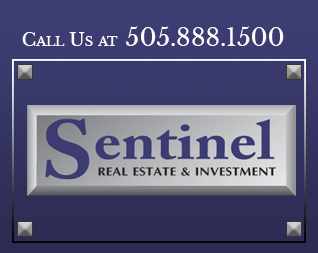 Sentinel Real Estate | Commercial Real Estate Sentinel Real Estate & Investment in Albuquerque, NM has the expertise you need to buy, lease or sell your commercial property. Contact us to find the right location for your business or investment. Commercial Real Estate-Albuquerque NM Sentinel Real Estate & Investment in Albuquerque, NM is a privately owned commercial real estate firm that you can count on for a higher level of service and sound investment advice. Commercial Property Investment-NM Buyers Sentinel Real Estate & Investment in Albuquerque, NM serves buyers, sellers and lessees interested in commercial property for operations or investment. Contact us for a higher level of service. Experienced Realtor Albuquerque-Commercial Property NM Sentinel Real Estate & Investment in Albuquerque, NM can help you buy, sell, or lease commercial property for operations or investment. Contact us to work with a realtor with more than 37+ years of experience. Albuquerque Commercial Properties-NM Property Investment Let Sentinel Real Estate & Investment help you find the commercial property that meets your specifications. Contact us to buy, sell, or lease in the greater Albuquerque, NM area. Restaurant Property Space-Albuquerque NM Locations Sentinel Real Estate & Investment in Albuquerque, NM can help you find the ideal location for your restaurant. Contact us to begin your search or list your restaurant space. Stand Alone Retail Space-Albuqueruqe Retailers Investment Sentinel Real Estate & Investment can help prospective retailers find the right location for purchase or lease. Contact us to find or list stand-alone retail space. Shopping Center Properties-NM Retailors Center Space Sentinel Real Estate & Investment in Albuquerque, NM can help retailors find shopping center space that promises high visibility and traffic. Contact us to view our shopping center properties today. Vacant Land Albuquerque-Future Development Sentinel Real Estate & Investment in Albuquerque, NM can help you find vacant land that offers immediate and future development potential and high return on investment. Contact us to view properties today. Albuquerque Commercial Property-Investment NM Sentinel Real Estate & Investment in Albuquerque, New Mexico can help you find commercial property investment prospects with high ROI potential. Contact us to learn more about investment properties available now. 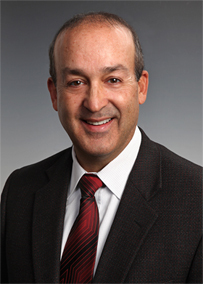 Commercial Real Estate Agent-New Mexico Property When you know what to look for in a commercial real estate agent, you know you’ll find it in Michael Contreras of Sentinel Real Estate & Investment in Albuquerque, NM. Contact us today to view or list commercial property. Commercial Property Space-Albuquerque Lease Investment Sentinel Real Estate & Investment in Albuquerque, NM can help you find commercial property for lease in the right location and with the right terms for your business. 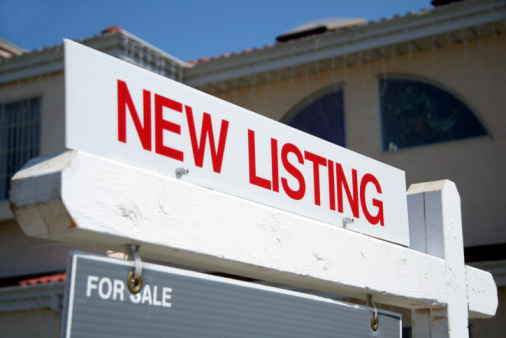 Contact us to view properties available for lease now. Commercial Property Leasing-Cost Effective NM Commercial property leasing may provide the most cost-effective means to get the commercial space your business needs. Contact Sentinel Real Estate & Investment in Albuquerque, NM for property leasing opportunities.